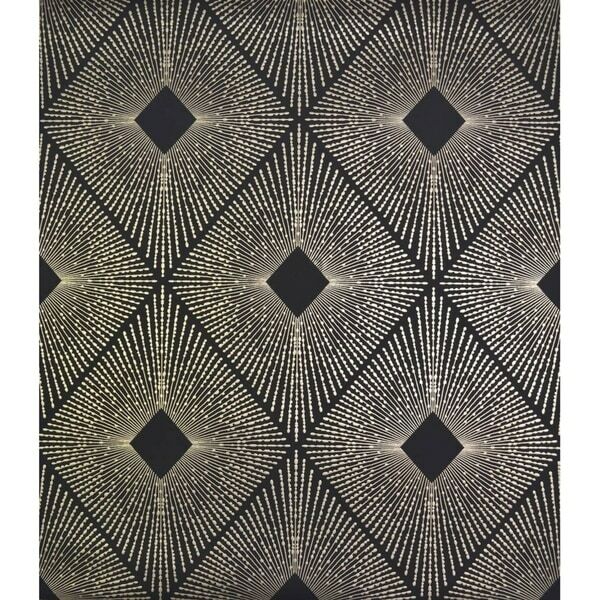 Cooper Harlowe Wallpaper 20.8 In. x 32.8 Ft. = 56.9 Sq. Ft.
Cooper Ebb And Flow Wallpaper 20.8 In. x 32.8 Ft. = 56.9 Sq. Ft.
Cooper Nazca Wallpaper 20.8 In. x 32.8 Ft. = 56.9 Sq. Ft.
Cooper Tortoise Wallpaper 20.8 In. x 32.8 Ft. = 56.9 Sq. Ft. Precious metallic colors form geometrics, abstracts, and nature inspired patterns in Antonina Vella's Modern Metals wallpaper collection. Double Roll Dimensions: 20.8 in. x 32.8 ft. = 56.9 sq. ft.
Radiating beams of metal burst forth from a dismond shape, Antonina Vella Harlowe Wallpaper forms a shimmering aura against contrasting color. Cooper Shimmering Foliage Wallpaper 20.8 In. x 32.8 Ft. = 56.9 Sq. Ft.
Cooper Cartouche Wallpaper 20.8 In. x 32.8 Ft. = 56.9 Sq. Ft.
Cooper Nebula Wallpaper 20.8 In. x 32.8 Ft. = 56.9 Sq. Ft.
Cooper Aurora Wallpaper 20.8 In. x 32.8 Ft. = 56.9 Sq. Ft.